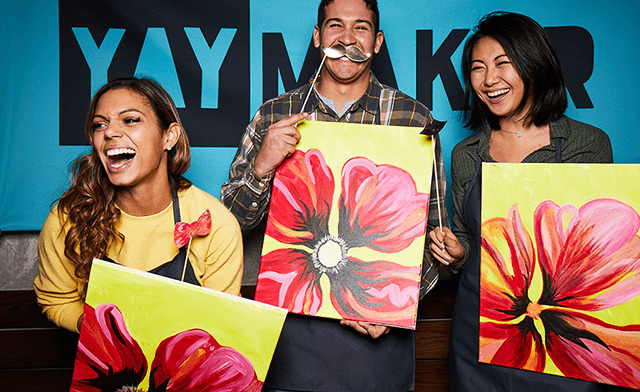 When you purchase this deal, you will receive a ticket good for admission to a standard Paint Nite event by Yaymaker. 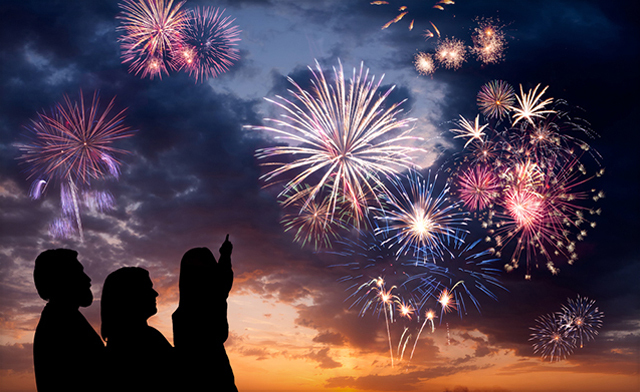 Some special events and locations require additional fees at time of booking. Click here for more details. 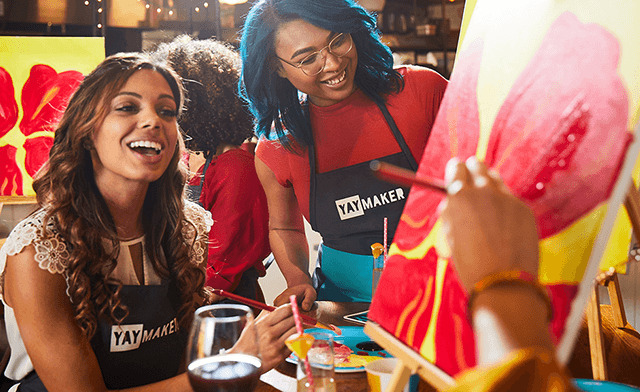 Inspiring people to drink creatively in more than 1,500 cities worldwide, Paint Nite events have been touted by New York Magazine, The Daily Beast, Bustle, and more. 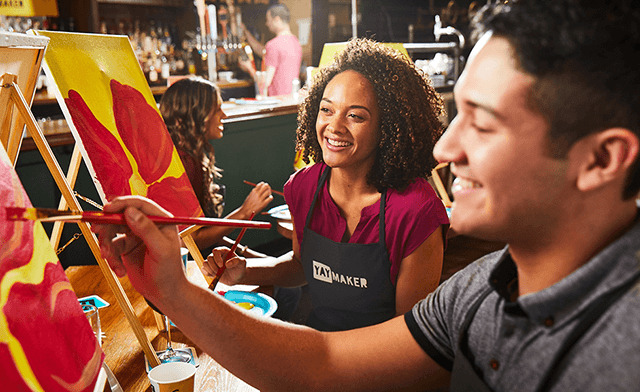 Spurring a creative movement across the country and beyond, Paint Nite is at local bars with local artists leading the party in your neighborhood—and everyone else’s. 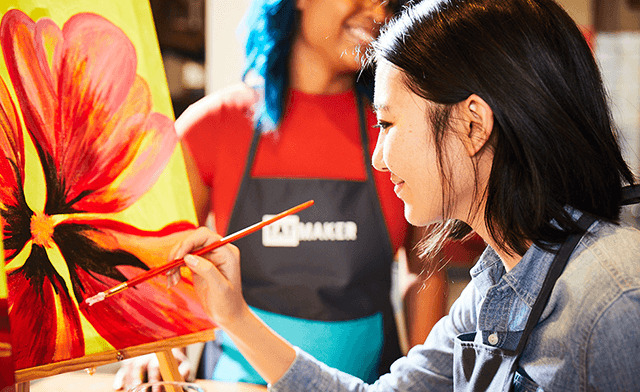 Grab your friends and unleash your inner artist at the Original Paint Nite. 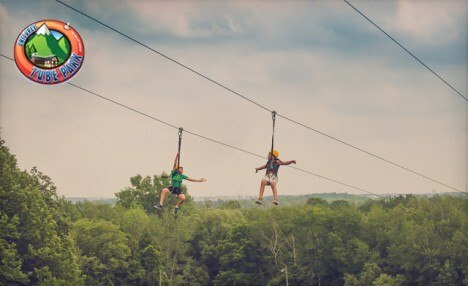 Go from blank canvas to masterpiece with laughs along the way. 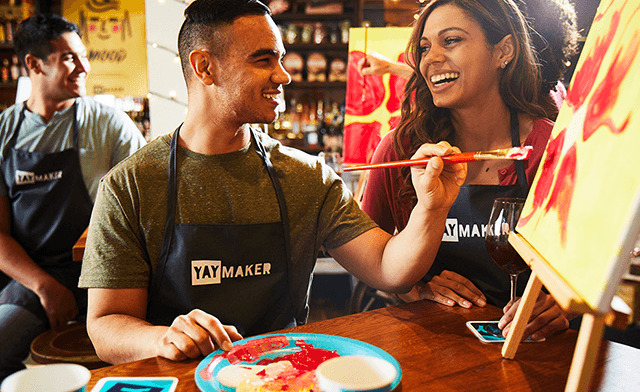 In more than 1,400 cities across the US and Canada, Yaymaker, creator of the Original Paint Nite, offers locally crafted events at bars and restaurants where customers laugh, drink, connect and try their hand at something new. This is where friends come to paint, plant, tinker, build and give their week something to shout about. 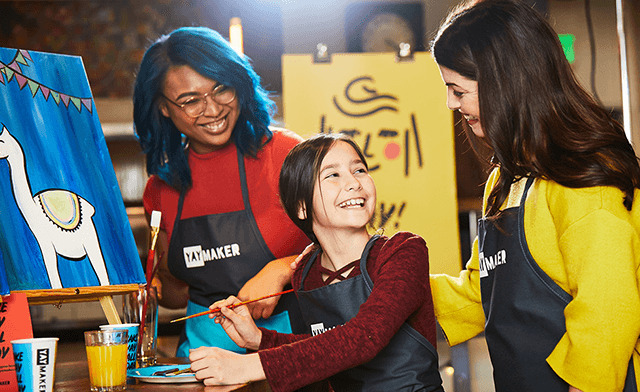 Fans of Paint Nite are also bound to love their other ventures too—give Plant Nite, Design a Sign, Candle Maker and Flower Workshop a try! Must be over the legal drinking age to consume alcohol, valid ID required.